Dr. Comfort diabetic crew socks are designed to keep your feet healthy. Their smooth-seam construction reduces the risk of unwanted friction that can lead to calluses. Nano bamboo charcoal fibers help keep your feet dry, which prevents infection. And because they're non-binding, they don't inhibit your circulation. Dr. 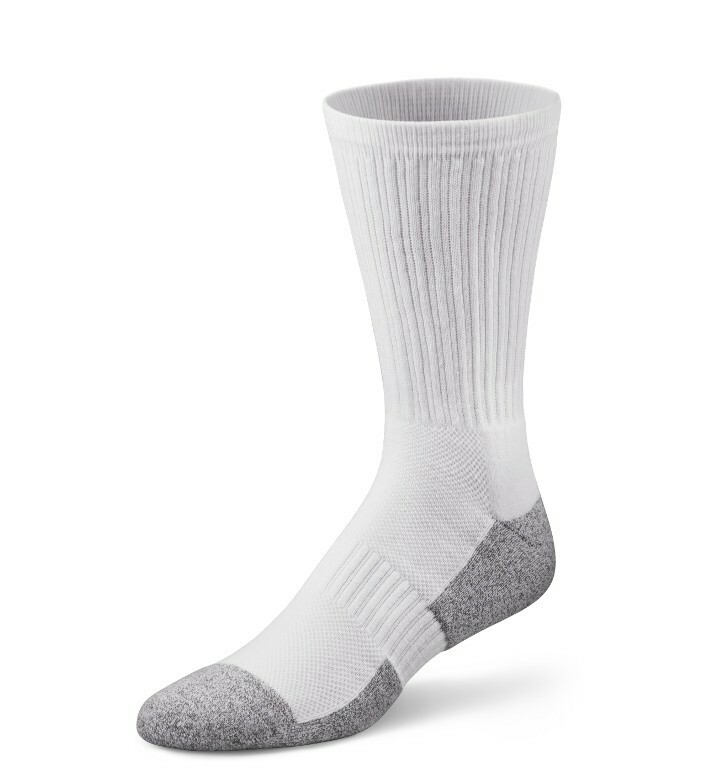 Comfort crew diabetic socks are available in white and black. Is there any cotton used in the manufacture of these socks? Are these socks latex-free? If not, do you have any that are?